For the last few years I have been working to support others to develop and grow. At the same time of course I also needed to develop and grow. My focus is more on the skills or competencies rather than information or knowledge. Acquiring knowledge or information about a topic or piece of technical information may require elements such as motivation, retention and sense-making but I think this is the easier side of learning and development. Changing behaviours, adapting our responses to people and events and developing new habits goes far deeper. As I examined how I and other adults learn I saw a complexity that I had not been aware of before. There seemed to me to be four stages in developing a new skill/behaviour. Identify the gap – the skill or behaviour you want to develop – to a high degree of specificity. Be really clear about what you want the new behaviour to look like, in which situations and with whom. Plan how you are going to make the change including the sources of support for you in making the change. This may include family, friends, a coach. It may mean changing your environment to enable the new behaviour. Measure or assess the change in behaviour using feedback from others, tangible metrics and other outcome approaches. Use the feedback to modify the plan and make adjustments. You will need resilience as many first attempts fail but third attempts are increasingly successful. As you progress with your plan one source of support may be a coach who can work with you on what your goals are and identify any limiting assumptions that may be making it harder for you to realise your goal. Do you have a growth mindset that says I cannot do it yet? Do you have a fixed mindset that says I am limited to what I have and actively avoids being put into situations that may require them to acknowledge areas for improvement? Do you have a purpose, a reason why you need to develop? When it comes to change, speed can kill. The desire to get things in quickly, be decisive and prove you are an action leader can create a false sense of momentum. Those change efforts appear to leap out of the blocks only to slow as the resistance builds and the lack of commitment drags the efforts of change leaders to a halt. The 12 month integration program becomes a three to five year effort that collapses morale and spurs attrition. John Kotter, renowned change guru, has highlighted the eight steps to leading successful transformations i.e. These are all necessary however i would like to highlight the most noticeable resistance to change that comes from a lack of involvement by those affected. Understanding why a change is being undertaken and how it will take shape is critical to a successful change effort. Whilst the communication of these elements are essential they do not build commitment. If you need active participation from individuals and teams you need to listen, acknowledge and explain. You need to incorporate their good ideas and explain why you are not using their other ideas. Whilst it may feel like repetition and pandering to egos it is an essential element to developing the fuel that will drive your program with increasing acceleration. I have seen the new leader take command and dictate new strategies day 1 using new distribution channels, revised products and new markets without bothering to ask existing leaders and experts what they think. Six months later the market research confirms what was known all along that the channels proposed had no interest in taking on distribution of that product. Detailed research also confirmed the cross-sell initiative faced numerous hurdles and was also another miss. Great leaders listen first and then decide. They do not resile from removing obstacles that may slow progress. They involve, gain commitment and drive the change through active participation, frequent communication and by highlighting progress. Their energy is focused on building support and respect for the change, removing road blocks and remaining open to feedback and accepting changes along the way. Quality is not compromised, it is enhanced through the participation, involvement and commitment garnered through this leadership approach. So if you want fast change ..slow down and listen first! Many executives face the excitement of a new role and feel a strong sense of determination to succeed in it. It is easy to get carried away with the thought that your knowledge, skills and capabilities will launch you into the new role and you should be ready to espouse the direction, strategy and method for achieving that vision from the moment you arrive. Whilst it is appropriate that you have thought about opportunities and have some ideas about where the business/division needs to go be careful as you may be leading with no one following. In the first 90 days I would counsel any leader to hold that rough draft of a plan loose and spend the first 30 days seeking to develop a better understanding of the business, its staff, clients, markets, strengths and history. A future state is always set in the context of a current state. You need to deeply understand the current state and why it has evolved in order to understand what you can leverage to the future state. If the first ingredient is success you need to have listened, understood and acknowledged what has gone before – be it people, products, markets, clients or locations. The ability to respect the past whilst explaining the “why” for the changes needed is a key skill for a new leader. Existing staff and customers will already have ideas about changes that need to be made and these are a great source of opportunity. Use these ideas to help shape your strategy and by listening to your staff and showing respect for the work that they and others have undertaken prior you will start to build loyalty and commitment to the changes you need to make. Involve your direct reports early, work with them one-on-one and as a group to build their trust in you and your intent to preserve the core values and ethics that staff want from their leader. Where you are unable to shift individuals to the new direction required see it first as a passion for what they believe is right and listen more intently and show you understand their perspective. If they are stuck in the past and unable to accept (these should be few and far between) then your handling of their situation (changed role, reduced responsibility, exit) will be closely watched by the staff to ensure it is fair. How many Boards, CEO’s and Senior Managers are urging their staff to innovate yet lack the understanding of the culture, skills and processes required and the risks inherent in innovation? Scott Anthony wrote recently in a HBR blog that companies make the mistake of assuming a lack of innovation is a human capital problem and that few of their staff are capable of innovation. From his research almost anyone can, with practice, become competent in innovation. Issue highly focussed challenges (e.g. Netflix offered $1m to any team that could din crease effectiveness of algorithm for movie suggestions by 10% or more. Over 250 teams rose to the challenge and 2 exceeded the goal). Beware the Googlephile approach of 15-20% off work time to develop new ideas. Whilst this has worked at Atlassian, Google and some other organisations it runs the risk of creating a lot of suggestions that are incomplete and require more research, leading to delays and staff dissatisfaction and finally reduced participation. Scott suggests we instead focus on a small number of people who are given a significant amount of time to develop innovations. “Lets go to the moon” – such bold visions may stimulate a big idea but more likely the ideas will be high risk and, given Board risk aversion, and their desire to prove the future, these will often be considered high risk and not pursued. Wing it – no need for a budget– lets just grab money from elsewhere if the idea is good enough. This rarely works and companies need to budget for the time and resources to support the innovation/enquiry. There is no single solution to creating an innovative workplace so it is important to approach innovation from a range of perspectives. In the Innovators Dilemma Clayton M. Christensen describes his theory of “Disruptive Innovation” and shows how large successful companies, in all types of industries, had been beaten by much smaller start-up companies. These small companies would get a foothold by starting in market areas that were not attractive to larger players. The start-up, by focussing on lower cost, lower value products that still met the needs of the target customer segment, would then march their way up the value chain. Where these start-up companies did NOT adopt the big company models, but instead leveraged their start in unattractive markets to add superior value that incumbents could not match, then the strategy was “disruptive”. “Disruption,” used in a technical sense, is a theory of innovation—of how particular types of new products and services, or “solutions,” come to achieve success or dominance in markets, often at the expense of incumbent providers. Michael E Raynor, who co-authored with Clayton Christenson The Innovators Solution, has recently published The Innovator’s Manifesto. According to Raynor Disruption is a theory of innovation that explains how particular types of new products and services come to achieve success or even dominance, often at the expense of once-powerful incumbents. The reality for most companies is that new products/services, new markets and growth initiatives are inherently uncertain and many therefore go for incremental growth. 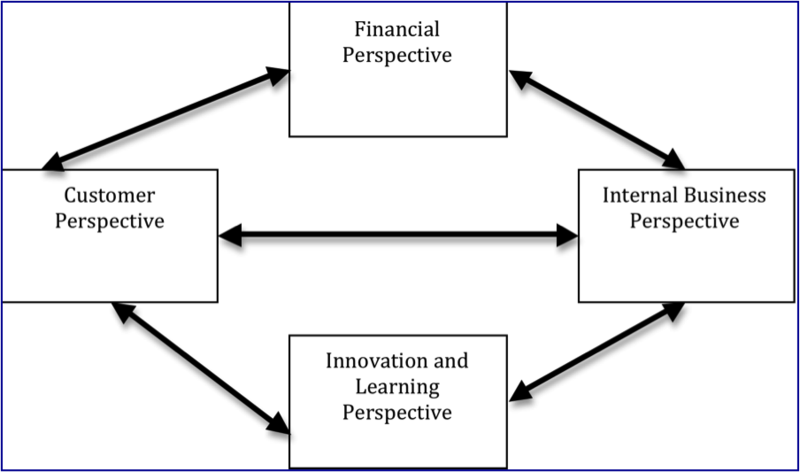 The tools provided by the Disruptive Innovation model may assist in evaluating these initiatives and provide a framework for focussing effort. Who innovates? We probably believe most innovation comes from big corporations (Apple looms large in the consumer mindset) but innovation is often undertaken by passionate consumers whose needs are unmet by current suppliers and therefore develop their own solution. These early adopters then stimulate increased demand and eventually the major companies realise there is a market large enough for them to serve. An important aspect for companies is how they interact with and garner consumer ideas for products or services. See Charles Leadbeater speak at a TED conference about the role of passionate and knowledgeable consumers in innovation on Ted (click below). Most organisations are looking for growth, innovation, a way to reduce their costs or expand their markets. Many are trapped by their history in relation to the markets and products/services they offer and need a process to think beyond their current approach. The strategic schools that have developed over the years provide differing approaches to the consideration of strategy – strategy as position in the market, strategy as competencies to be leveraged, strategy as assets to be exploited – and each have something to offer. The strategy work produced by W. Chan Kim and Renée Mauborgne – Blue Ocean Strategy – provides a number of useful tools by which we can examine potential for new strategies. The summary (from the HBR article October 2004) is that the “business universe consists of two distinct kinds of space, which we think of as red and blue oceans. Red oceans represent all the industries in existence today—the known market space. In red oceans, industry boundaries are defined and accepted, and the competitive rules of the game are well understood. Here, companies try to outperform their rivals in order to grab a greater share of existing demand. As the space gets more and more crowded, prospects for profits and growth are reduced. Products turn into commodities, and increasing competition turns the water bloody. Blue oceans denote all the industries not in existence today—the unknown market space, untainted by competition. In blue oceans, demand is created rather than fought over. There is ample opportunity for growth that is both profitable and rapid. There are two ways to create blue oceans. In a few cases, companies can give rise to completely new industries, as eBay did with the online auction industry. But in most cases, a blue ocean is created from within a red ocean when a company alters the boundaries of an existing industry. The example they use is Cirque du Soleil who were able to change elements from circus and theatre to create a new uncontested market space and away from a declining circus industry. So how would we start to look at our organisation and what blue ocean opportunities may be available? 1. Strategy Maps – are a useful tool to understand the elements that clients consider when buying your product/service and where you sit in relation to these items versus your competitors. The elements may include price, service, access, online capability, integration, ease of doing business, post sales support, speed of delivery and many more. You need to consider and understand the utility (usefulness) and importance of these to your target market and to map your performance versus key competitors. This will now give you a visual map of where you are positioned and how you are presenting your value proposition and whether it is superior versus your competitors. 2. Blue Ocean Strategy (BOS) is focussed in creating uncontested market space, making the competition irrelevant, creating and capturing new demand, breaking the value-cost trade-off and aligning the whole system of a firm’s activities in pursuit of differentiation and low-cost. If it sounds daunting then this discomfort provides the stimulus to think differently. 3. BOS challenges us to look across industries, and strategic groups and re-define the buyer. 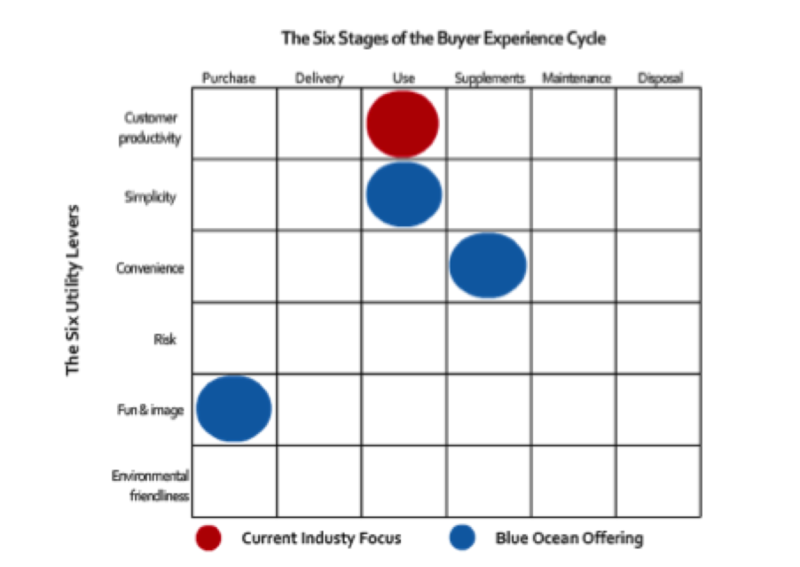 To find your blue ocean you need to look at the buyer experience and consider the utility or value of your product or service from their perspective and across the six stages of buyer experience. How is this occurring at the moment and how would it look differently under the new blue ocean strategy? The six utility levers – the ways in which companies unlock the usefulness of their product or service for their customers – many of which are are obvious. The simplicity of use, the level of fun and the image associated and the environmental friendliness need little explanation. A product or service offers convenience simply by being easy to obtain and or use. The most commonly used lever is that of customer productivity. An innovation can increase productivity by helping customers do things faster, better, or in different ways. e.g. by offering on-line analytics, comparisons that analyse and compare the raw information it delivers. By locating a new product on one of the 36 spaces of the buyer utility map, managers can clearly see how the new idea creates a different utility proposition from existing products. In our experience, managers all too often focus on delivering more of the same stage of the buyer’s experience. That approach may be reasonable in emerging industries, where there’s plenty of room for improving a company’s utility proposition. But in many existing industries, this approach is unlikely to produce a market-shaping blue ocean strategy. A range of other tools are offered to assist in doing your own blue ocean strategy and there is useful information on the http://www.blueoceanstrategy.com/ website. When Kaplan and Norton developed the Balanced Scorecard they were seeking to develop a broader perspective of what needs to be measured and managed to achieve success in business and also how to communicate and integrate the measures and targets throughout an organisation. In this way it adds to Peter Senge’s work on the Fifth Discipline and having a systemic view of what a business requires. For example an absence of a systems or systemic view may be the cause of the dreaded cane toads in Queensland as the decision makers sought to eliminate the native cane beetle by introducing cane toads into Australia from Hawaii. The cane toads now number over 200 million and are a huge pest. Their short-sighted solution was to eliminate one pest without thinking that they were simply replacing it with another. Short-term decision making that fails to recognise the implications of changes to an environment, business or system can often lead to problems. But back to Kaplan and Norton. Their scorecard ensured that leading indicators, such as staff capabilities and internal business processes, were as critical to understand and measure, as the lagging indicators such as revenue and profit. 1. How do our client see us and how do we wish to be seen (aka what is your Superior Value Proposition)? What are we trying to solve for the client and how do we plan to do this better than competitors? 2. How will our internal business processes be leveraged to deliver this superior value to the client? How can the way we do things, interact with clients, or utilise information create value we can use to support our client value proposition? 3. How will the capabilities of our strategic job families (roles) need to change or improve to underpin the value we are seeking to deliver? e.g. Will our consultants advice capabilities allow us to deliver services in a way that complements our products and creates additional value for our clients? 4. How will our performance financially be seen by our shareholders? Are our shareholders seeking steady growth, better cash-flow, reduced volatility or rapid growth with patience regarding profitability? These four elements were represented in a diagram to show the interrelationships of the elements -e.g. a competency developed with staff could create capacity for unique processes that then meets a key customer need and results in increased customer acquisition and revenue. The most important aspect is the linkage between overall Vision/Strategy via clear measurements. Importantly it also facilitates the alignment of all business areas and individual staff with a related and supportive set of measures and targets. I have experienced the benefits of a performance system that ensures alignment between overall corporate goals, divisional goals and personal goals. The system was structured to include the four elements and it is a powerful force towards achievement of a business vision. The Balanced Scorecard is not sufficient to develop strategy in isolation but provides a direction for focus, in a holistic sense, on the overall business and the critical needs of customers and stakeholders. It also focusses attention on the information and process capabilities that can be leveraged as well as the people competencies that need to be developed and/or used in support of generating client value. Like many systems it is a guide and the real benefits will only be obtained where creativity, innovation and a deep understanding of customers and business capability exists. The Balanced Scorecard is a great communication tool to explain the underlying components required to deliver a strategy and create the alignment critical to employee engagement. If you get stuck trying to develop measures then you may want to try “How to Measure Anything: Finding the Value of Intangibles in Business” by Douglas W Hubbard. 2. Ensure the whole system is linked towards its achievement – this is a real strength of the Balanced Scorecard – ensuring everyone understands what the business is trying to achieve and how that will be measured. 3. Focus on the key measures ensuring they are causally linked (i.e. they will reflect the right outcome associated with the right inputs). A poor measure that is not reflective of what it is meant to measure will be counterproductive with staff and managers alike. Do you use the Balanced Scorecard? How well does it serve your business?